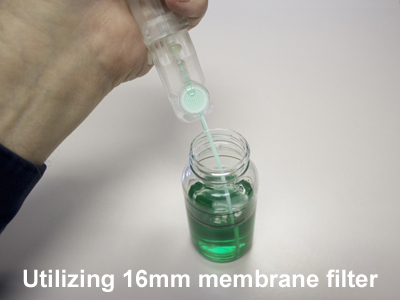 The improved membrane filtration (MF) liquid sample preparation technology offers new innovations in fluid-handling, sample preparations, and in-vitro assays. It is a novel system that combines use of a proprietary vacuum-based suction tool in conjunction with consumable filter cartridges containing porous hydrophilic membranes. The device enables aspiration of liquid into and through the easily interchangeable enclosed membrane filter cartridges (MFC). The volume and rate of sample fluid processing with the system is user controllable via the device. This enabling method markedly advances and broadens the applications which are addressable using enclosed MFCs. By solving a common limitation of enclosed filters in conventional in-line fluid systems, the suction tool enables – for the first time – multiple aliquots of fluid(s), rinses, or sample-prep reagents to be sequentially processed in a controlled practical manner. Photonic BioSystems has eliminated the problem from air getting into the fluid path causing filtration blockage, due to air-lockup inside conventional closed cartridges. The MFC system is versatile and can be diversified to provide highly effective and efficient processes for dealing with various types of fluid aspirations, filtration, separation of cellular or particulate from fluids, and samples preparations. 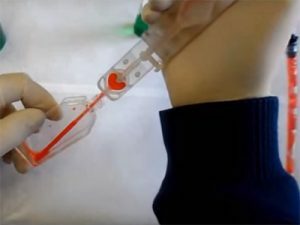 The suction apparatus and MFCs can be used to perform manual operations by hand, or implemented in a robotized format to automate fluid handling systems for high sample-throughput in large labs, testing facilities or for industrial needs and to meet specialized process, multistep requirements. 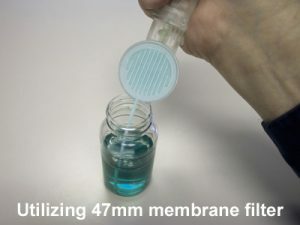 Enclosed MFC and MFAC- By utilizing the enclosed filter cartridges this technique offers distinct advantages. 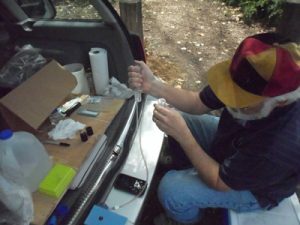 One critical to many applications is that the entire fluid path, and most importantly the filtration element, is protected with this system – it prevents exposure of the sample to the external environment and potential contaminations. 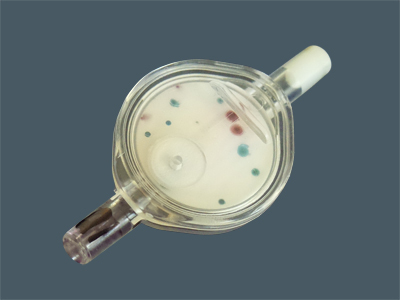 One fundamental improvement of enclosed cartridges over the conventional MF technique is the development of a proprietary self-contained Membrane Filter Assay Cartridge (MFAC) method for microbial testing or the bioassay of cells. The MFAC approach enables: sample collection, capturing and concentrating of organisms, rinsing (if required), aspirating culture media/reagents, incubation, and in situ analyses of organisms growth- all without opening the MFAC or exposing the sample to the external environment. This reduces the equipment, setup time, contamination risk, and technical skill required to prepare samples using the MF technique. Fully enclosed filtration and culture system minimizes the risk of contamination enabling MF sample preparation and testing in the field (at sampling site) or in the lab without the need for a containment hood or clean environment. Compatibility with different size membranes, types, and configurations of filters, and ability to sample varying fluid volumes (0.1 to >1,000mL). Large variety of MF-based sample preparations and tests can be conducted with just one piece of equipment. Back-flush extrication of material captured by the membrane filter.